I’ve spent the last two weeks with my friend Jesse and the rest of the (awesome) dudes in Pterodactyl, recording their new record. Pterodactyl has put out records on Brah/Jagjaguwar and Deleted Art, and appeared on a split with one of my favorite bands Oneida. All the basic tracking is done – we did two days setup in Jesse’s loft and another in their practice space, getting all the basics down. 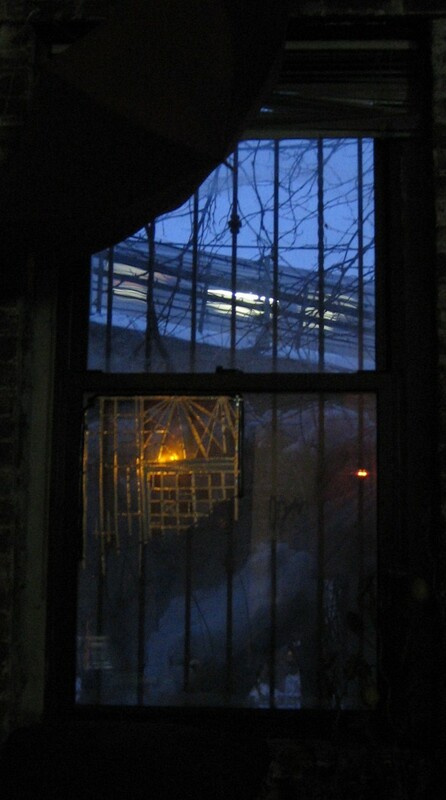 (The photo to your left is the M train passing by Jesse’s window) We’re working on overdubs and vocals now – always an involved process, but nice at your own pace. Frank Musarra – from Hearts of Darknesses and Trey Told ‘Em (with Gregg Gillis/Girl Talk) – will be mixing the record in a couple weeks, and I’ll be doing the final mix/master after Pterodactyl’s SXSW tour with Parts and Labor. The material is really exciting, taking their abrasive noise-pop from Worldwild, steeping it in the more melodic psychedelia experiments from last year’s Arnold’s Park EP, and steering it directly into Phil Spector’s Wall of Sound. You guys will love it. Next ArticleMore Misguided Guides, and more!